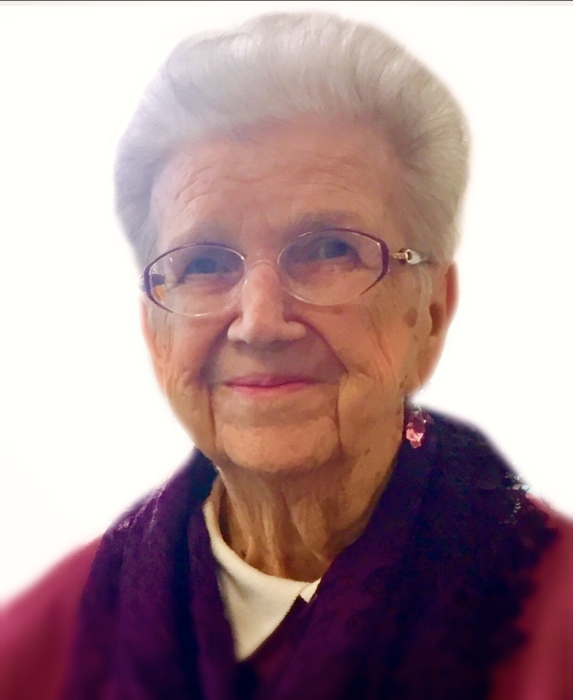 Virginia A. Elmore of Waggoner passed away on April 11, 2019 at her Home. She was born on February 16, 1924 in Waggoner Illinois the daughter of Paul and Margaret Brubaker Long. She married Kenneth “Keck” L. Elmore on December 5, 1942. Mrs. Elmore was a homemaker and a teacher having taught kindergarten in the Panhandle School district from 1963 through 1987 before her retirement. She was an active member of A Community of Faith Church in Raymond. Besides her husband she is survived by; daughter Kathy Elmore of St Augustine FL, daughter Peggy (Greg) Hampton of Raymond, son Ken (Cheri) Elmore of Waggoner. Also surviving her are her grandchildren; Robert and Krissa Lubben of St. Louis, Sarah and Mike Makuta of Morton IL, Brian and Becky Jones of St. Louis, Kyle Jones of St. Augustine FL, Anthony Larry of Orlando FL, Kate and Brett Dabbs of Springfield, Paul and Laura Wade Hampton of Raymond, Alex and Amanda Hampton of Litchfield, Sam Elmore of Waggoner, Ailie Elmore of Waggoner and eight great grandchildren. A sister, Naomi Gerlach of Raymond also survives. Besides her parents, a daughter JoAnne Lubben, brother Charles Long, grandson Keck Hampton preceded her in death. She and her husband loved to travel the country in their motorhome and enjoyed spending time with family. Memorials in her name may be left to the Panhandle Education Foundation, which will be directed to the teacher grant program. Services will be held on Saturday, April 20 at 12 noon, friends may call from nine until the time of services at A Community of Faith Church at 101 Belle St. in Raymond. Burial will be held in Asbury Cemetery in Raymond. Condolences to the family may be left at www.houghfuneralhome.com. Hough Funeral Home in Raymond is assisting the family.